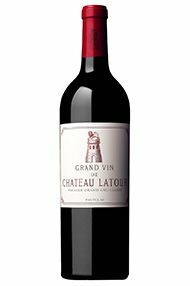 The Wine Advocate - The 2004 Latour is perhaps evolving slower than I expected, although it remains one of the finest Left Bank wines of the vintage. It has that quintessential graphite-scented bouquet intermixed with blackberry and cedar, although the liquorice note that I observed previously has receded. Again, there is wonderful definition. The palate is full-bodied but surprisingly more sultry than I expected, especially here where I was able to directly compare it with the other 2004 First Growths. It delivers the authority you expect from Latour, although I might be inclined just to give it another 2-3 years in bottle. Tasted September 2016. 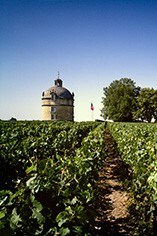 Parker - A terrific effort from Administrator Frederic Engerer and owner Francois Pinault, the dark ruby/purple-tinged 2004 Latour exhibits a strong cassis character intermixed with notes of crushed rocks, earth, cedar, and forest floor. Racy, elegant, but powerful with medium to full body, and sweet tannin, it will benefit from 5-7 years of cellaring, and should keep for three decades. It is a very impressive offering. Decanter - "Nose mainly toasty oak, but quite complex, with brooding dark fruit underneath. Austere but stylish and it gradually reveals its layers of complex fruit. Serious wine. 6-16 years"